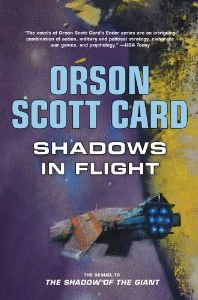 Orson Scott Card adds, “Now that I’ve written it [Shadows in Flight], I don’t know how I imagined I was ever going to write that final book without having written this one first!” Card also announced that Shadows Alive will be the new title of the final book which will wrap up both the Speaker and Shadow series. It does not have a release date. Book Length: According to Amazon, the hardcover version is 240 pages long.